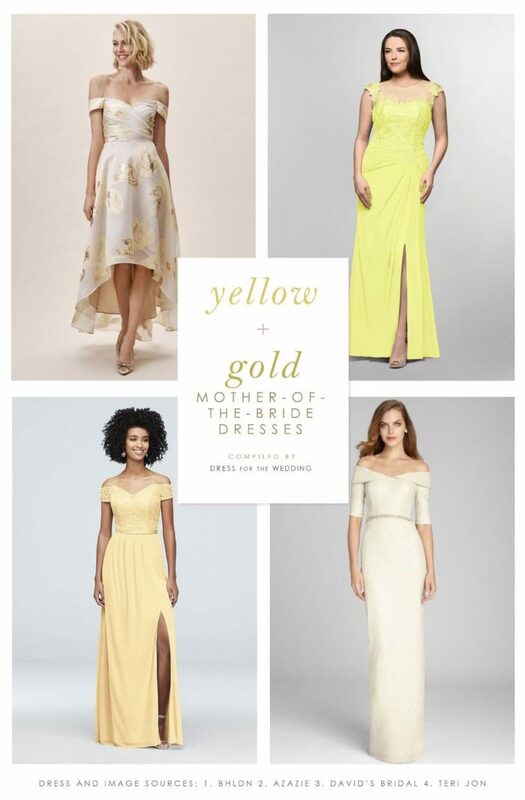 Yellow dresses for the Mother-of-the-Bride or Mother-of-the-Groom can be the perfect selection for daytime weddings, summer receptions, and springtime nuptials. I’ve selected a few of my favorite dresses in colors ranging from pale buttercup yellow, to deep goldenrod for mothers seeking yellow dresses for weddings. Also take a peek at these gold mother of the bride dresses, too! All images and shopping sources on this page use affiliate links, which means this site may earn a commission if you make a purchase from our links. More yellow mother of the bride dresses from Azazie. Choose from 28 colors, and customized sizing.